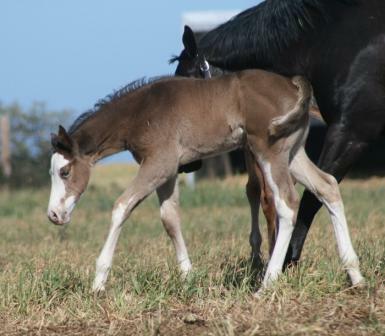 Ollie is only the second foal born in Australia by this young American sire. 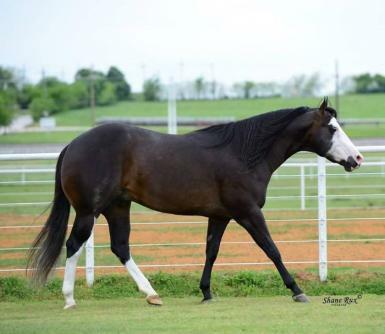 Born 29/9/18 Ollie should mature 15.2-15.3hh his genectic test's are 5 panel clear, OLW NN, and is a true black. 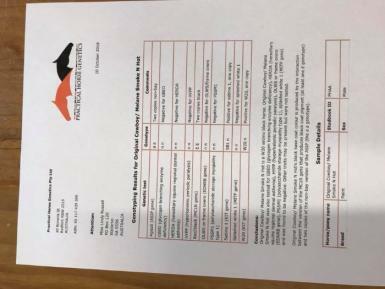 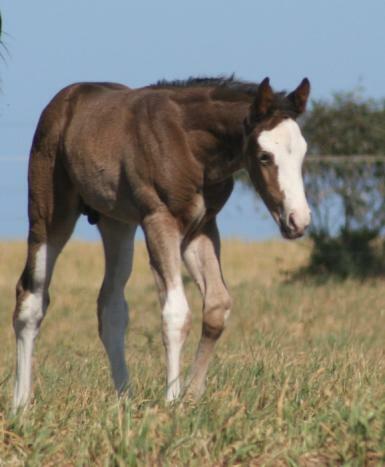 He is safe to breed to all coloured paint mares, he is homozygous for the black gene (never able to produce a chestnut foal) & Sabino and W20 positive, one copy of each. 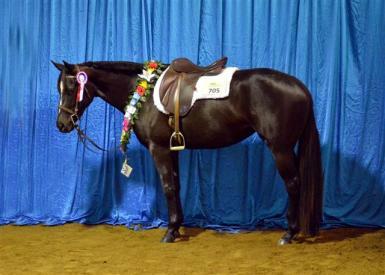 Original Cowboy USA is a 15.3hh Seal brown dual reg AQHA & APHA, he is a sire of World and Reseve World Champions. 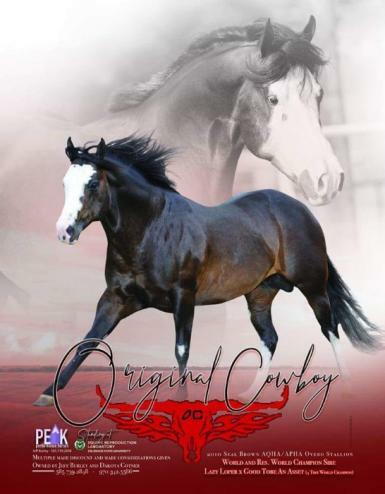 OC (Louie) is sired by "Lazy Loper" and out of "Good Tobe An Asset" (Investment Asset) both world champions earners. 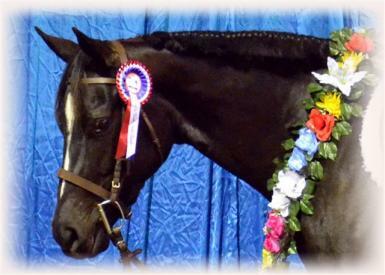 Louie was oly shown twice as a 3yo in Western Pleasure earning almost $10000. 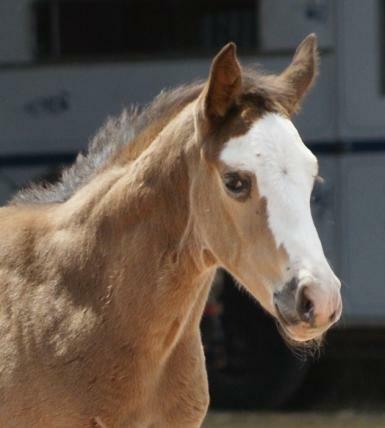 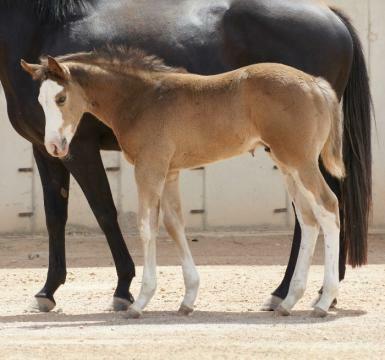 Louies first foals hit the ground in 2014, he is the youngest stallion in the APHA Top 10 in Halter and Performance. 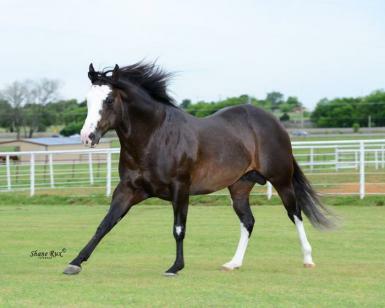 Melane Smoke N Hot is a 15.2hh black paintbred mare sired by Smoke N Native Son IMP USA (Black and White Overo). 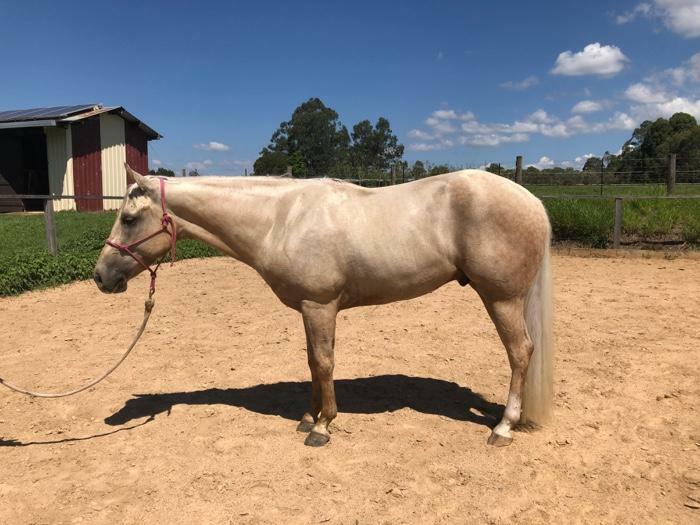 She was only shown once at State level under saddle (due to other commitments) Ebony showed that she had the movement and trainable temperment to continue a great show caree. 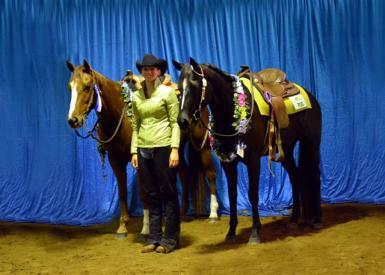 At her State show she won both the 2yo Western Pleasure & Hunter Under Saddle Futurities as well as the 2yo WP & HUS classes. 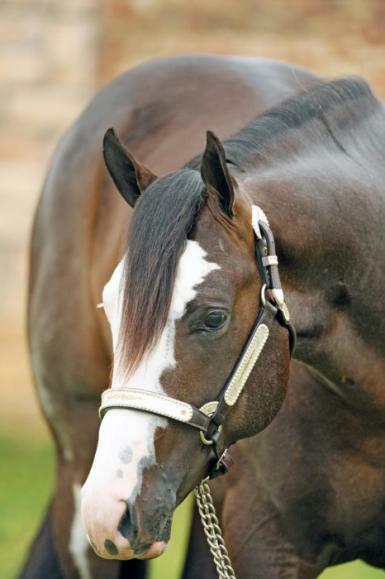 Ollie will be an eye catching young stud with striking markings but with the movement to match. 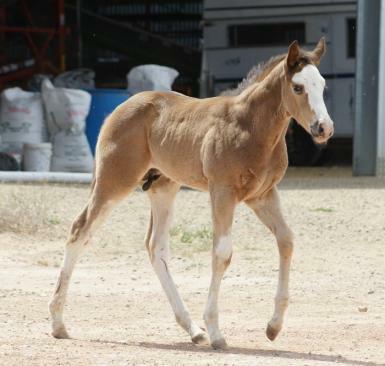 He is a quality colt with a great hip and conformation to match. 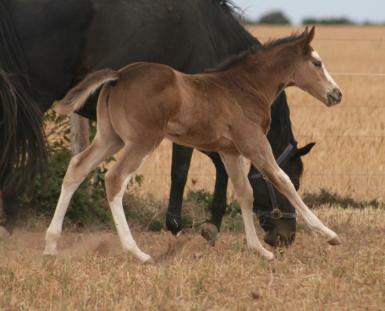 Im sure he will have quite a following at shows he is everthing i had hoped for in a filly. 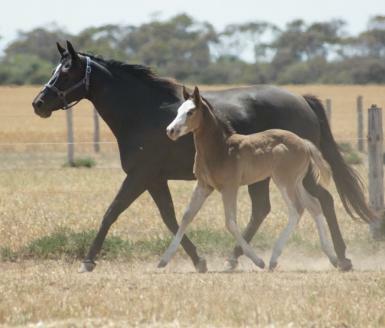 These bloodlines would be an asset to any future show/stud home and would cross well with many bloodlines in Australia. 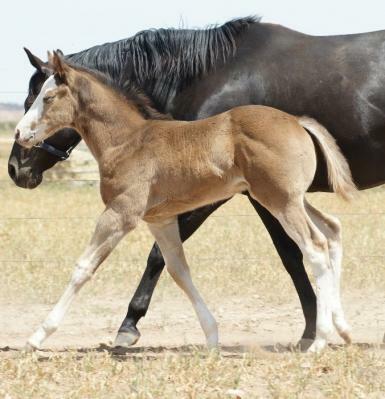 Ollie is homozygous for the black gene, OLW NN can cover all PHAA and AQHA mares, and 5 panel Negative.